Visitech is technology company with focus on carefully selected applications which all are based on the DLP technology from Texas Instruments. Visitech is an official DLP design house and has been working along-side Texas Instruments with DLP technology since 1995. 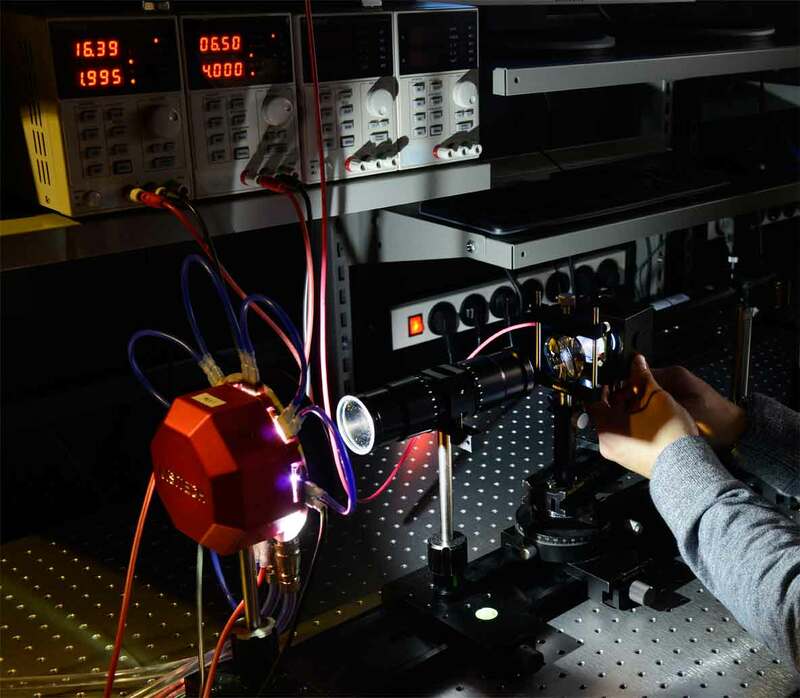 Our engineers has broad and in-depth experience in using the DLP technology including electronics, SW/FW, optics and projection lenses, light sources and opto-mechanics. Hence Visitech is designing and manufacturing the complete product. As a result Visitech avoids comprimises due to sourcing standard components/modules. Visitech groups’ main focus is understanding and developing the selected applications, to make state of the art products and solution for each application. VISITECH’s One Stop Shop ensures the lowest possible Life Cycle Cost for users of DLP based industrial projectors. VISITECH’s series of well proven LUXBEAM Building Blocks are optimized for low manufacturing cost and, together with the Norwegian engineering team, ensures short time to market and lowest possible development cost. 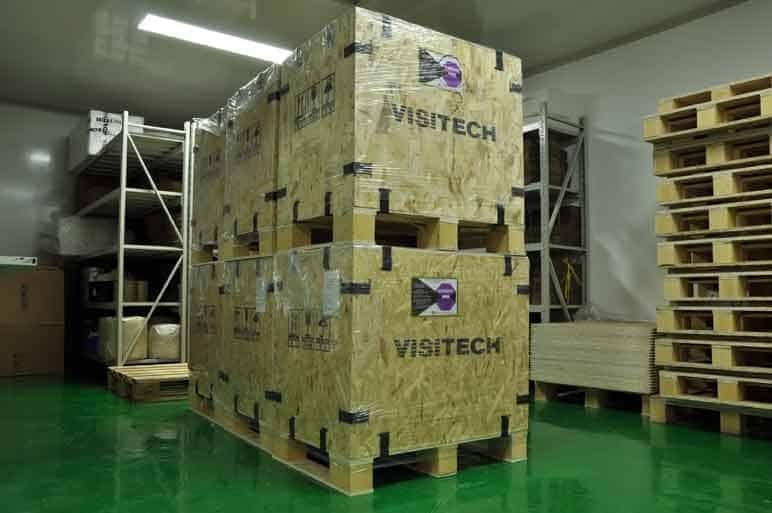 VISITECH’s unique supply chain in East Asia is capable of supplying sophisticated optical, mechanical and electronic parts at supreme quality. Dedicated engineers both in Norway and in Shanghai pursue continuous improvements and effective and controlled implementation of product changes. VISITECH’s excellent product quality, well established RMA routines and effective technical support, secures long term satisfied customers. The VISITECH team as a DLP product supplier has worked closely with TI’s DLP unit in Dallas since 1995. For VISITECH quality is satisfied customers. Satisfied customers come from on-time deliveries of reliable, conforming products together with responsiveness and good support. 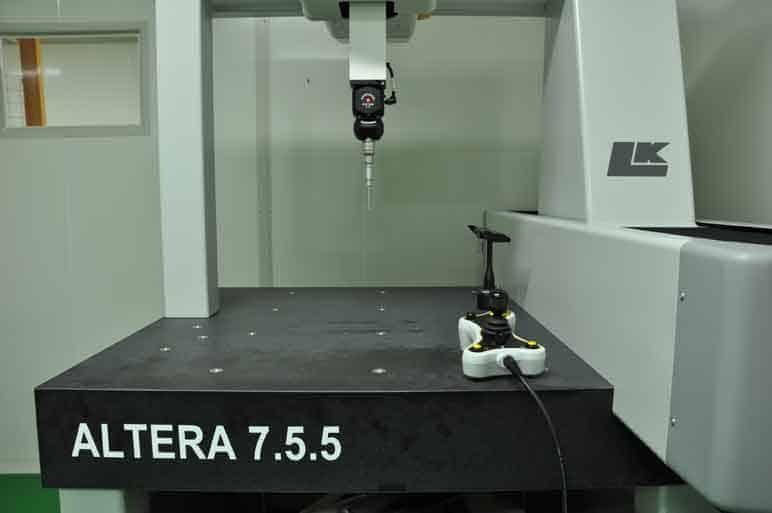 Reliable, conforming products come from good engineering practices in development, careful vendor and component selection, monitoring and controlling manufacturing aiming for repeatability and low repair rates, and finally a thorough inspection and test prior to careful packaging and shipment. Within VISITECH, quality is an everlasting theme on the agenda: Continuous improvements, not only technical but within all fields of our work. Drawing the quality tree, seeing the cause / effect from each of the thousands of daily decisions and job tasks we all do, to the final, deliverable,reliable, conforming product. In particular for VISITECH Shanghai, quality has been topic number one on the agenda in the collaboration between HQ and our China team since it was established in 2005. The mindset of our teams in Norway and China is to ensure quality in every part they buy and every work they do. Quality is securing that the customer is satisfied with VISITECH’s products, both at incoming inspection, at product integration and also all the time after our customer’s delivery / commissioning / implementation. This can only be achieved by making sure that expectations and specifications are met or exceeded in every procured part, and that there is repeatability and reliability in each job done by each individual. We base our quality philosophy on our personnel’s comprehension of what it takes to build quality into a product. In addition, we do quality inspections and quality control, both at our subcontractors and in our own production line. All products are subject to 100% final inspection and testing based on product specific test procedures. Incoming inspection of parts are carried out to varying levels depending on experience with the different suppliers and part complexity. Quality statistics are prepared for outsourced manufacturing (PCBA’s) and in-house production batches. RMA (Return Material Approval) statistics are made based on out-of-box failures and field failures. Quality and RMA statistics are analyzed and improvements are implemented. Such improvements might be design changes or process changes. The manufacturing facility in Shanghai includes clean room with flow benches. 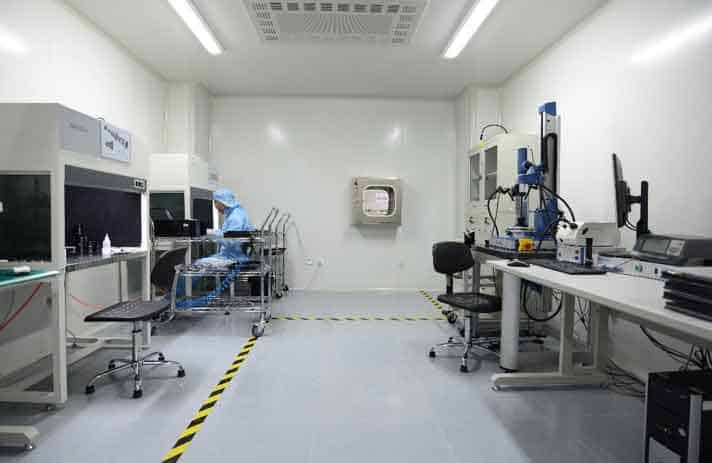 All optical and opto-mechanical assemblies as well as lightsources and light engine integration are made in the clean room. We develop dedicated test equipment for each DLP Light Engine system, including both visible and UV light. All testing of light engines are done in a dark clean room. It is VISITECH’s policy to outsource PCB assembly. VISITECH has carefully selected our EMS partners to assure that they meet our requirements for stable deliveries of repeatable and reliable board assemblies. 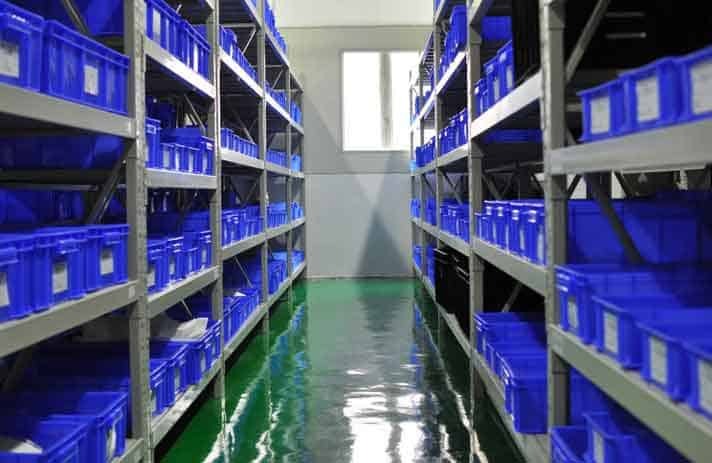 Our 1200 sqm facility in Shanghai manufactures batch sizes from prototypes up to 1000 units per batch. The yearly capacity is more than 10000 units. 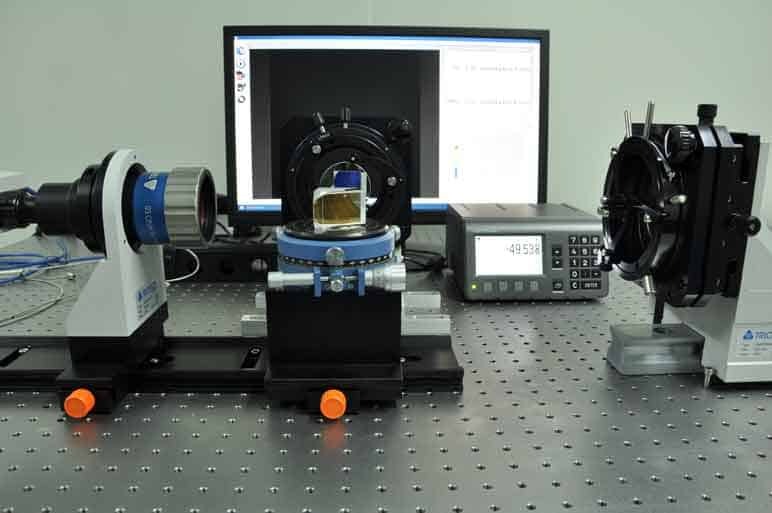 VISITECH Shanghai has established a strong supply chain in East Asia capable of supplying optical, mechanical and electronic parts with Western quality. Supplier development has been a prioritized work, and we are continuously working on monitoring existing vendors and developing new vendors. VISITECH is sourcing components from East Asia and USA/Europe, depending on product complexity and quality level. VISITECH delivers light engines / modules that are installed into our customers’ complex industrial machines. Technical support is an important part of VISITECH’s products. Typically a support project is established to integrate VISITECH’s product into our customer’s end product, ensuring an effective integration process for our customer. Our RMA process ensures prompt response and follow-up in case of product failures. Configuration control, emphasizing an effective ECR/ECN (Engineering Change Request / Notification) process is taking care of changes due to end-of-life components, product improvements, etc.